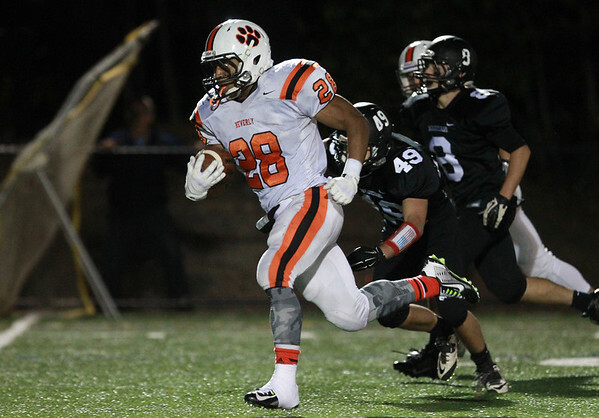 Beverly junior running back Matt Madden (28) breaks into the open field and outraces the Marblehead defense to the end zone for a long touchdown run. DAVID LE/Staff photo. 10/10/14.